Imagine your kitchen has absolutely no major appliances. It’s basically a blank canvas, ready for you to install completely new Bosch appliances of any design and with any finish you want. It’s not an easy decision to make. Stainless steel may be a timeless finish, but maybe you’re looking for black appliances that make a statement in your kitchen. 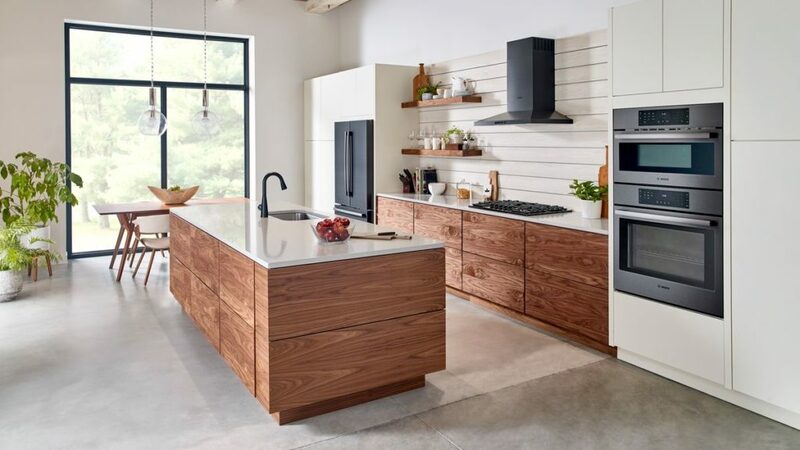 Whatever you choose, you can’t go wrong, but we’ve got the lowdown on all the different appliance finishes available to you. Take these finishes into consideration when in the market for a new suite of Bosch appliances. If there’s one appliance finish that people love, it’s stainless steel. And how could you not? This appliance finish goes well with EVERYTHING. It has the power to make any old kitchen feel new and modern. Most stainless steel appliances are fingerprint-resistant now as well, making these guys perfect for those curious kids who like to put their little fingers all over the place. If you’re looking for something that will play it safe in your kitchen, getting Bosch major appliances with a stainless steel finish is the way to go. If you love drama, black or black stainless steel may be the next best colour for your Bosch appliances. It’s such an intense hue that when paired with any other colour (especially white), it makes quite the vivid contrast. If you are all about making a statement, this will definitely do the job! You may want to stay away from this appliance finish if you have a smaller space. Having a lot of black in a small area can make your kitchen look tiny and crowded. Avoid this finish altogether if you want an open and bright kitchen. White appliances are classic and clean, making every minimalist shout for joy at the sight of them. While it seems like they may get dirty often due to their milky exterior, this is a small price to pay. It’s all worth it for the amount of brightness a white-appliance-filled kitchen can bring into your home. Not to mention, it has the ability to expand a small room, so it seems much larger than it actually is. If your ideal kitchen has light coloured marble countertops with white cabinets, adding white appliances to the mix will really illuminate the entire room. Who says you have to choose only one? 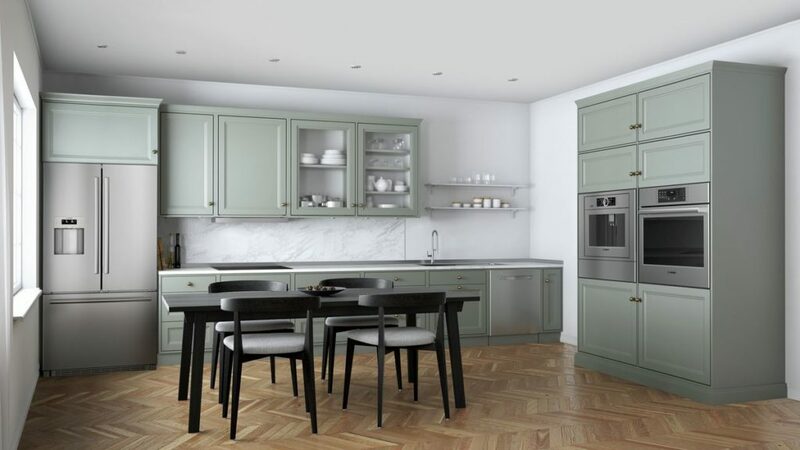 If you can’t make up your mind about which appliance finish you want, there’s nothing wrong with mixing and matching! Talk to an expert today to get more information on Bosch appliance finishes and which ones would look best in your home!